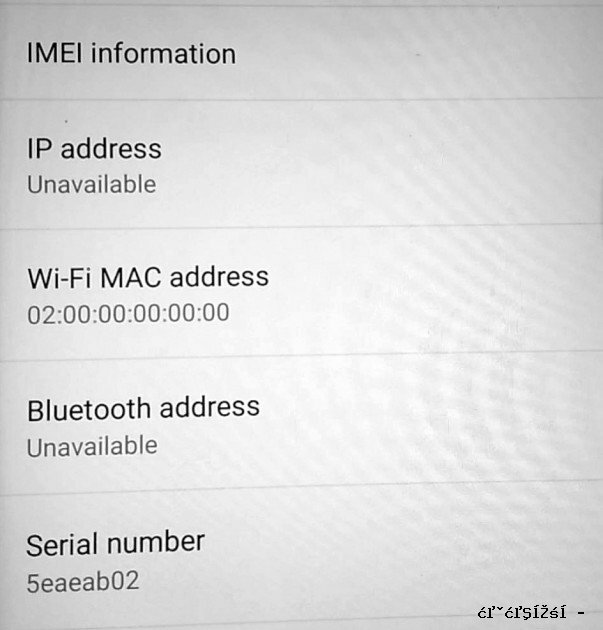 This No Wi-Fi issue happened at the first time Android N developer preview roll out, if you owned a Nexus 5X or Nexus 6, joined the Android Beta problem, then flash the Android N DP image to your phone, your phone will lose the Wi-Fi MAC address and Android system will get the MAC address with value 02:00:00:00:00:00, and this is the reason why the Wi-Fi network can’t be enabled after a fully phone re-flash. So you can check the Wi-Fi MAC address under Settings -> About phone -> Status, if you see the “02:00:00:00:00:00” under Wi-Fi MAC address, follow these step to fix the problem. 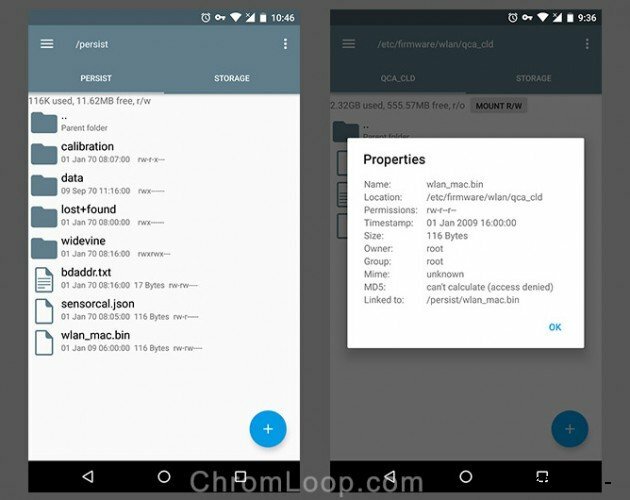 WARNING: change system file could make your phone bootloop or brick, do everything carefully, and you should backup important data before moving forward. Here I use the Nexus 5X for example. 1. You need the Root access to system files, so unlock the bootloader and root your device first. You also need your phone’s true Wi-FI MAC address, you can flash the Android 6.0.1 to mark it down, then update to Android Nougat again. 2. Install any root file manager you like. then use it to located the /persist directory, normally you should see a file named “wlan_mac.bin”, open it with text editor you can see four lines of MAC address, but with the “No Wi-Fi with 20:0:0:0:0:0” problem, you can’t see that “wlan_mac.bin” file. 3. Located to another directory “/etc/firmware/wlan/qca_cld”, you should see the “wlan_mac.bin” file now, tap and edit that file, it should be nothing in it. The first line should looks like “Intf0MacAddress=64BC1C936874”, it’s my Wi-Fi MAC address, and you should not use it, it’s safe to use your ture MAC address, though you can change some characters instead. Save the file and reboot your phone, your phone’s Wi-Fi problem should be fixed. Or if you are too lazy to edit the file, here is my wlan_mac.bin file. You can download it and extract the .bin file, change the first line to your ture MAC address, save and place it in your phone’s “/etc/firmware/wlan/qca_cld” directory. I don’t know why this issue happened, some said they get the Wi-Fi back by turn on bluetooth for several hours, while someone just reboot and make it back. one thing should be notice is, most of phones that have the No Wi-Fi problem was OTA to Android Nougat without wiping system data at first, both developer preview and official release, so maybe something was wrong with the OTA update process, and that’s why I recommend to wipe data first before flashing new system update. I have same problem with wifi issue after flashing android 7.0. and maintain my phone with rebooting. However this is a just temporary solution as many others mentioned. Sometimes even rebooting does not enable wifi work (even dozen times tries.) Thoses rebootings are not under charging. However reboot with charging sustains wifi works well. So reboot with charging could be a temporary solution until correct patches are pop up. I left this message to help you figure out the what makes problem on this. Once wifi works correctly it keeps working for half day or more regularly. this must be annoying for me but I believe you will find out the way. Thanks and look forward to hearing solution soon. I had the problem that many did of Wifi not connecting and abnormal high battery drain after the Android 7.0 update for my Nexus 5X. For me it would scan for Wifi networks but never find any. I tried rebooting, resetting network settings, turn on/off cell data and bluetooth, using 2.4GHz instead of 5GHz connection via the farproc Wifi Analyzer app, none of which fixed it. What eventually fixed it for me was rebooting into safe mode: I could connect to Wifi in there, and then when I booted back into regular mode Wifi was still working. I still had some issues connecting to my workplace’s wifi network: The CloudPath app which is supposed to set it up automatically did not work, but I could get it working by manual installation of the security certificate and manual entry of the detailed settings. After trying the “boot into safe mode” method, for the first time, I’ve been able to reconnect to a wifi network without needing a reboot. Sigh, it’s been a few weeks now and still no solid update. I have the Wi-Fi issue on my Nexus 5X. I cannot even search for Wi-Fi networks. When I press ‘on’ for the Wi-Fi, it turns off after a few seconds. I’m guessing this will be the October patch?